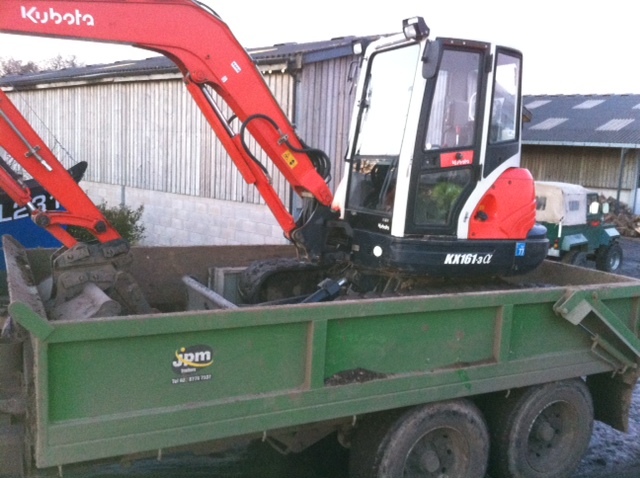 With our full range of diggers, dumpers and concrete breakers, we here at Richard Rogers Excavations are the local experts in small demolition on the Wirral. Whatever the purpose for which the site is being prepared, we will handle the whole task from demolition through to clearance. Although demolition may be considered the poor relation of the construction process, an experienced demolition contractor like ourselves will often know more about materials and the true strength of a structure than many structural engineers. This is due to our many years of pulling apart small buildings and understanding the relationships between the materials used in their construction and their effects on party walls, if any. Every demolition project is different, usually with several alternatives and sequences that could be employed to achieve the required result. We are experts in conducting initial site surveys, which are an essential part of any project to ensure a safe and cost-effective programme of work. Our preliminary survey will include the identification of any hazards, some of which may not otherwise be readily apparent, and then finalizing and initiating the project plan to ensure the safe and timely completion of the project. After demolition we will clear the site and dispose of all materials in compliance with local and national standards. As one of the local contractors for small demolition on the Wirral we will always strive to delight with the quality of work that we do and the affordable prices we are able to offer. When any individual or contractor needs to carry out small-scale excavations, it is important to be using the right tools for the job. The best tool to have on the team for any such task is a mini digger. Perfect for carving out foundations and great for shifting cumbersome and heavy loads, mini digger hire in the Wirral can be done weeks in advance of a project, or on the same day……. If a garden is suffering from poor drainage then we at Richard Rogers Excavations can help. We are a long-established local company, expert in providing garden drainage on the Wirral. Symptoms of poor drainage are pools of water lying on the lawn for protracted periods of time after rain and a continual ‘soggy’ feel whenever the lawn is walked over……. In these austere times many people are looking to improve their existing homes rather than incur the expense and worry of moving. Whether building an extension, adding a patio or improving a driveway, homeowners want to be confident that they can call upon an established and reliable local company to provide the services they are looking for at competitive prices……. The National Plant Operators Registration Scheme is now one of the UK’s leading Accreditation and Registration Bodies. At Richard Rogers Excavations we provide only fully certified services.